Dancing has been shown to have a positive impact on children. It gets them moving, helps their development in all areas, gives them confidence, increases their social skills, and more. Hip-hop dancing may be one of the youngest forms of dance out there, but the benefits it has for your child are numerous. At Broadway Arts Centre, we are passionate about arts education and your child. We strive to create a community with a positive atmosphere for your child to learn and grow. 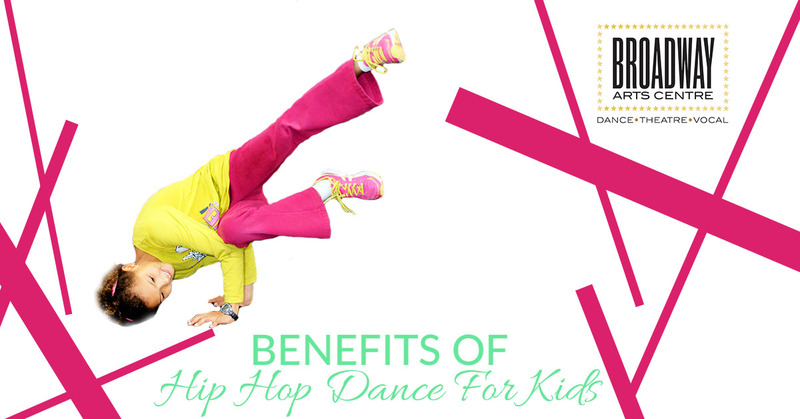 In this blog, we’ll outline the reasons why hip-hop dancing is a worthwhile investment for your child’s growth and development both physically and mentally. Dancing is a great way to introduce your child to physical activity. Dancing itself is a very active sport and art form, and can help your child be more physically fit. Through movement, it also teaches your child how to be graceful. It increases their balance and coordination. Hip-hop dance is known for “hitting hard”, but that is not always the case. Specifically with children, hip-hop is about creativity and movement, thus challenging their balance and ability to coordinate their movements. In fact, it incorporates different dance styles like jazz and lyrical in its moves. 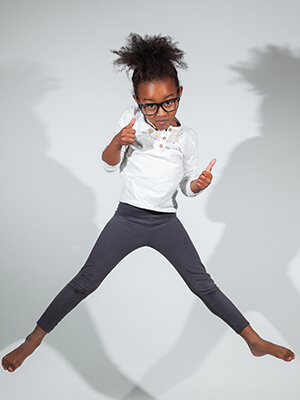 Hip-hop is a great cardiovascular workout for your child, getting their blood flowing and strengthening their heart. However, it also helps strengthen their muscles through pushing them to learn more complex routines, training their muscles beyond what they are normally used to. The type of movement hip-hop dancing requires helps tone your child’s muscles and increase their flexibility and joint elasticity. Hip-hop dancing is arguably one of the most creatively-driven styles of dance. Unlike ballet, which is technique focused, hip-hop is much more free flowing. Hip-hop classes give your child a space to create their own dance combinations and moves to the beat of the music. They learn this way that they can use dance as a form of expression. Creativity is important to children’s mental health, and increases the strength of their brain. Especially once they begin school, giving them a creative outlet to decompress is vital. Hip-hop class gives children the ability to socialize with other children outside of their regular circle, who share similar interests. Hip-hop dancing is one of the most social forms of dance. Hip-hop comes from a culture of different groups of people socializing through movement. Therefore, your child will learn different ways to communicate, as well as how body language is used to communicate. In the class setting, the children get to exercise their social skills in learning how to communicate effectively with the teacher and other students. These skills are important to learn at a young age because they will be carried with them throughout the rest of their life. Additionally, hip-hop classes are great for developing children’s confidence. Because dancing involves performing, kids have to learn confidence quickly to be able to boldly perform their routines. Especially when they have been working hard for a period of several months, they will have increased confidence and immense pride when it comes time to perform and show off their new skills. Performances for children are positive reinforcements for working hard, another skill that is important for young children to learn. At Broadway Arts Centre, our hip-hop classes are high energy, exciting, and fun for ages five to 17. We teach movement that incorporates elements from popping, locking, and breaking. We also encourage creativity through giving children the opportunity to grow in freestyle movement and develop their own sense of style. Get in touch with us today to learn more about our hip-hop dance classes at Broadway Arts Centre.